With 51% of Australians having tried online dating, and nearly 1 in 10 finding love online, isn’t it time you had a go? Mate1 is a great choice whether you’re looking for long term commitment, or your next fun night out. They offer fabulous dating tools such as live chat and 1-click searching, and with literally millions of members, there’s someone for everyone! Mate1 goes above and beyond when it comes to dating tools. They offer the ability to build an extensive profile which can include up to 20 photos. This helps with security as well as giving you the chance to show all your different sides! Included in the profile is facts about your lifestyle and upbringing, as well as income and religion, and not forgetting physical appearance. You can even include an audio greeting free of charge so you can hear who you’re talking with. 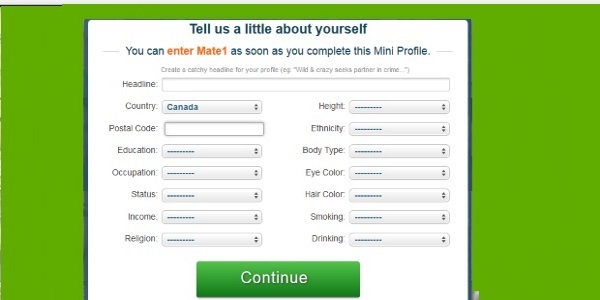 The website will use this info to suggest matches to you on a dedicated tab, without the need for you to fill in any complicated compatibility questionnaires or quizzes. 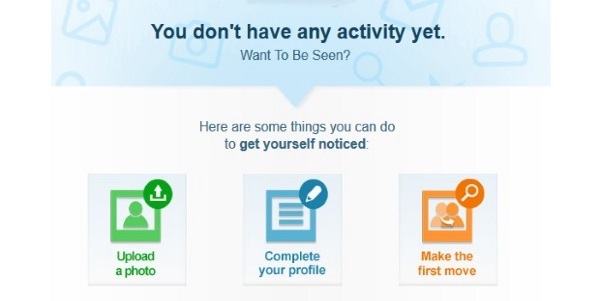 You can also add people to your ‘hotlist’, see who’s viewed your profile, and browse with 1-click to see who’s online, near you, or already interested. Once you’ve found someone who piques your interest, reach out with inbox messaging and then move onto live chat. Simple! We always prefer a simple sign up process, and that’s what you get with Mate1. The first step is choosing a location and age range, as well as putting in your gender. You will be shown the amount of members on the website who fit your criteria, and prompted to enter some additional info about yourself to complete the sign up. Once you’ve entered an email address and password which you will use in future to sign into the website, you will be taken to a page where you can start to build a profile. Not only is this what the website will use to match you with other users, it will also be your first impression the all the members looking for love. Take some time to be honest and fill in all the blanks. 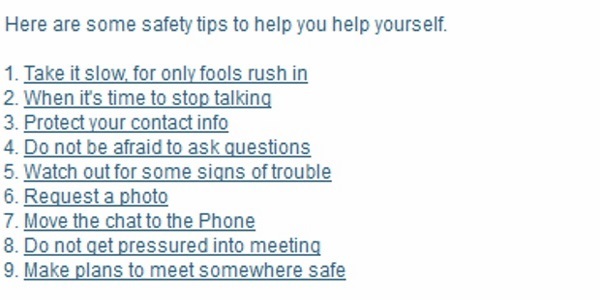 While Mate1 could include a few extra features in their safety catalogue, such as profile moderation and email verification, we do love the dedicated safety tips page included at the bottom of every web page. Here you can familiarize yourself with some of the common problems people need to know before they embark on an online relationship. Take the time to read this section carefully, and make sure you are keeping your personal data safe online, and taking every necessary precaution when meeting someone for the first time offline too. The pricing structure at Mate1 is straightforward, with the costings reducing the longer you sign up for. One exception to this rule however is the excellent 3 day trial feature. Simply pay a one off charge of $1.95, and you can use all the functionality of the website and the mobile apps for three full days. Easy! Once you’ve tried it out, your best value option is 6 months of functionality for a competitive $19.99 per month. 3 months will be slightly more costly, for $24.99, and you can even choose one month’s membership, but this will cost you $44.95. We love some of the extra features on Mate1, making it really easy to meet your ideal match and make the most out of your subscription. Helpful pop ups give you information about how to use the website, and if your activity is not getting you anywhere, you will see pages like the below which prompt you to finish your profile, add photos and generally learn how to use the website. Remember, you get out what you put in! The navigation on the home page is great, and you can access everything you need from the home page. There are many ways to search on this popular online dating website. The home page shows a newsfeed which allows you to view members who have been recently active on the website, and you can also use the advanced search tools. Here you will be able to search via profile filters, which include but are not limited to physical appearance, education and occupation, ethnicity and lifestyle, and even hobbies such as food and travel. Want to search for something more specific? Try the keyword search. You can even look for someone in particular with the fun nickname search too. As you would expect, you can use location and age as a baseline to make sure all matches meet your basic criteria. Mate1 deserves its title as a top 5 dating website. With millions of members, and hundreds of success stories every week, they offer a fun and unique way to meet new people and have a great time. We love the online audio greetings and the fully functional mobile app too.